Drummer Tumi Mogorosi’s Project Elo took the South African and international jazz world by storm, earning him critical praise and a loyal following. Blending epic vocal performances, soaring horns and propulsive percussion that deeply mined the soundscape of South Africa for inspiration, Project Elo was a spiritual statement of deeply resonating proportions. At the same time it echoed previous work by jazz legends like Max Roach and Donald Byrd. A jazz sextet with four chorally trained voices, the Project Elo album was unusual, but riveting, and it seemed to perfectly resonate with the socio-economic quagmire that South Africa found itself in when it was released in 2013. One person that was amongst those paying attention to Project Elo, was Swiss pianist Malcolm Braff. Born in Rio Janeiro, Braff grew up in the Cape Verdes Islands and Senegal, but now lives in Switzerland, where he performs and teaches. Braff is no stranger to these shores having in the past collaborated with South African musicians and toured the country too. Mogorosi says both he and Braff share an agent in France and the elder statesman of jazz reached out to Mogorosi through the agent to congratulate him on Project Elo. This lead to them striking up an email conversation and when Mogorosi was awarded a residency in Switzerland he let Braff know he was coming to see what could materialise between them. “Pro Helvetica paid our flights and accommodation and said go see what you can do,” says Mogorosi. What did materialise is a brand new album called Sanctum Sanctorium. It is a collection of duets with Mogorosi sharing compositional duties with his life partner and musical collaborator Gabi Motuba. It’s not the first time Mogorosi and Motuba have worked together; the duo co-composed the song Thokozile Queen Mother on the Project Elo album. Besides Braff, the album also features Swiss cellist Andreas Plattner and German bassist Sebastian Schuster. Mogorosi and Motuba’s reverence for Braff is evident when they talk about the man. 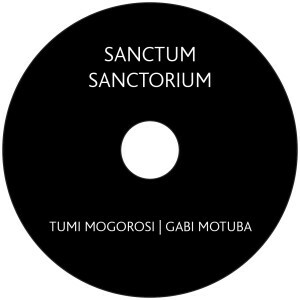 Mogorosi describes him as a “walking library” and the veteran pianist stars on Sanctum Sanctorium, contributing to a fascinating musical dialogue with Mogorosi’s drums and Schuster’s bass. 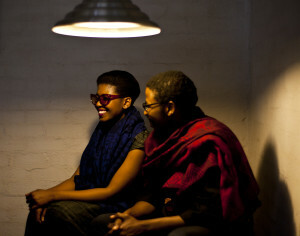 Mogorosi says it was important for him and Motuba to engage with musicians who can see beyond “the comfort”. “I can’t make art with people who can’t acknowledge privilege and the lack of privilege,” he says. With Braff being very familiar with South Africa and Schuster having played with South African drummer and former Blue Notes member Louis Moholo and travelled to South Africa a few times, this made the musical conversation easier. Motuba says it was great to work with “Papa Malcolm” and the other musicians. Mogorosi says the title Sanctum Sanctorium takes aim at Eurocentric notions of how an individual gets divine inspiration. He says the perception that one individual is the catalyst of all this greatness ignores all the interactions the individual experienced prior to that point. “Its important for me, not to be a singled out from here on forth, I want to co-create, I want to move beyond who it is and to what it’s saying,” says Mogorosi. Motuba says that on a personal level, the compositions she penned, like Letters to Akani, Thari e Nntsu and We will be Home, were personal messages to the couple’s new-born daughter, Thari. She says that all the compositions are intensely related, due to the composing period coinciding with the birth of Thari. “We had similar emotions, anxieties, apprehensions,” she says. This explains why the songs cohere so well as a a body of music, making it hard to tell which songs were penned by Motuba and which by Mogorosi. The nine-minute opener Letter to Akani feels plaintive, meditative at first, the cello carrying the melody alongside Motuba’s gorgeous voice. But listen deeper and you’ll start to hear the fantastic rhythmic interplay coming to the fore. Braff, Mogorosi and Schuster, like fireflies in the night sky, dart in and out of frame, whizzing past each other as they create a rhythmic bed for the composition, which becomes more complex and fascinating the longer they are at it. It is clear that Mogorosi, alongside peers like Braff and Schuster, has taken his craft to a whole new level. On Nefetari, Motuba and Plattner again set up the melody, before the rhythm section lifts the cello and voice upon its shoulders. After two minutes the dialogue between Braff, Mogorosi and Schuster springs back into life, this time a gentler strut with a bit more swing. Braff’s piano work is exquisite. Thari e Nntsu starts out with just Braff on the piano, playing a melancholic introduction for almost a minute and a half, then Motuba comes soaring into frame, the drums, cello and bass building epically behind her voice, like ripples in a pond reflecting her vocal flights in the sky above. Motuba owns this song for almost four minutes, but then Schuster plays a meditative bass solo that is simply transcendent. It’s clear on first listen, the second listen… the tenth listen that Mogorosi and Motuba, along with their European peers, have produced a very special album indeed. One where every member of the band delivers standout performances. 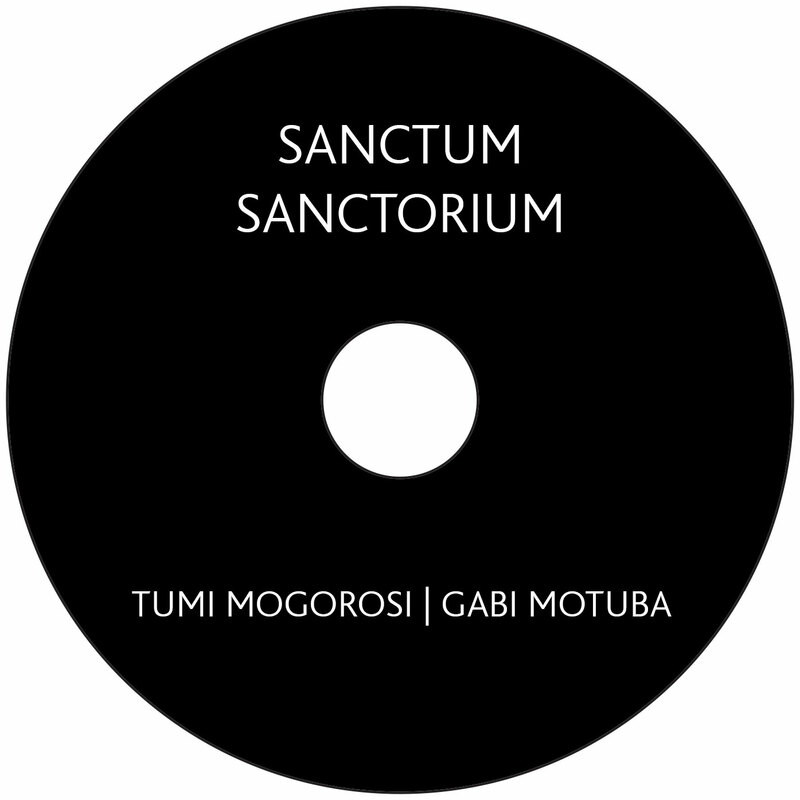 * Mogorosi and Motuba tour Gauteng and KwaZulu-Natal this week to launch Sanctum Sanctorium. They perform at Unisa’s Miriam Makeba Auditorium in Pretoria on November 17 at 7pm, The Music Room at Wits University in Johannesburg on November 18 at 7pm, and The Chairman in Durban on November 19 at 7pm. All tickets R150. Visit http://sanctum.band/ for more information.